Sounds like a man with a plan! Maybe he's planning on buying your squirrel in say February and holding onto it till May. Are squirrels cheaper in February? Like the idea of blue fun shoes myself ! HAHA! That's awesome. Is it going to be a LIVE squirrel? You gotta love that he is thinking ahead. 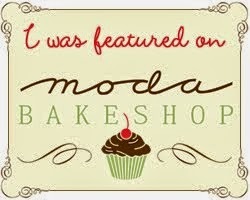 Found you through Moda Bake Shop! I'll be coming back for sure! Too cute - makes you laugh. Great to write it down because its so easy to forget all the funny things kids come up with!